You have a busy schedule, so it can be difficult to fit in a dental visit. That’s understandable—but you should still never miss out on your necessary dental care. In fact, your dentist has 6 legitimate reasons why missing out on your scheduled semiannual visits is a bad idea in this week’s blog post. 1. You can develop cavities if you skip out on your appointments. The sticky film that coats your teeth between brushes is known as dental plaque. This is the leading cause of tooth decay if left to build up and harden into tartar on your smile. Even patients that keep excellent care of their oral health experience plaque and tartar buildup in hard to reach areas of the mouth. So, it’s important to visit your dentist to have them systematically remove all of the lingering debris from your smile at least every 6 months. 2. Your dentist will prevent teeth from falling out or becoming damaged. Gum disease, which starts from the pesky plaque mentioned above, is a major cause of tooth loss as people age. As gum disease advances into periodontal disease, plaque moves further down the tooth and eventually infects the gums. Before you know it, your gums will become inflamed, infected, and cause your jaw bone to lose its strength. These all catalyze rapid tooth loss. The chance of this happening can be greatly reduced with regular dental cleanings and good oral hygiene habits. 3. You could start to stain your teeth between appointments. Just simply drinking or eating certain foods can change the color of your smile. Drinking coffee, tea and wine or using tobacco are some popular habits that many people have, not realizing that it changes their teeth from pearly whites to yellowed, darkened structures in their mouth. A dental cleaning can remove built-up stains, leaving you with freshly polished teeth that you won’t want to stop showing off! 4. You’ll leave the office with much fresher breath than before. Many may think that a breath mint or chewing gum are good ways to prevent bad breath, but the best way is with excellent dental hygiene both at home and with your dentist. Even if you brush and floss regularly, getting a cleaning can remove those hidden debris from below the gum line and between teeth. 5. You could end up spending more money in the future if you skip your appointments now. One of the best things about having dental insurance benefits is that most benefit plans cover preventive dental care. This includes your dental checkups and professional cleanings! Take advantage of your free care now rather than having to pay out of pocket costs for restorative dental care in the future. 6. Your overall health could suffer if you don’t visit the dentist regularly. 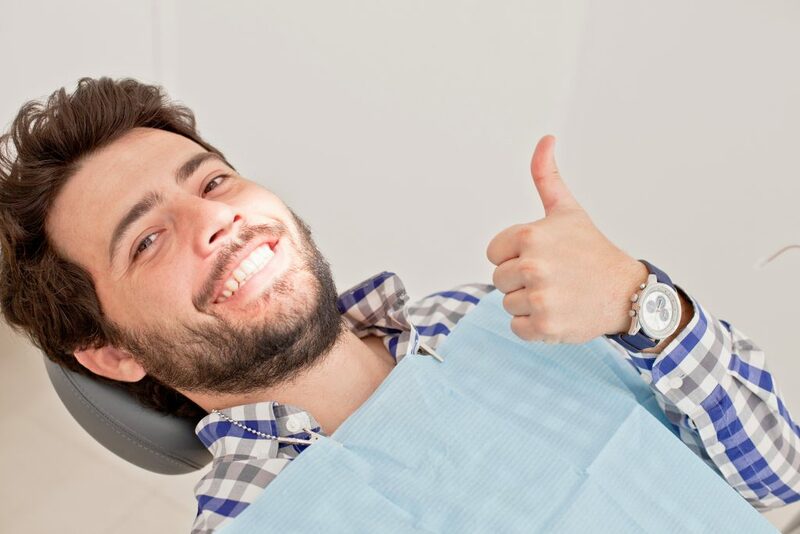 When you choose to visit the dentist, you’re making a conscious decision to improve your oral health. The great thing about that is that this decision automatically boosts your overall health as well because a clean, healthy mouth means that you are lowering the chances of developing oral cancer, heart disease, diabetes, and other serious health concerns that are linked to declining oral health. If you can’t make it to your dental visit for some reason, it’s best to call and reschedule for a better time than completing missing out on everything that your dentist can help you with. Here at Anderson Family Dental, we don’t like to brag, but as your dental health professional, we know that our services are crucial to maintaining your healthy smile. We’re here to help you with effective preventive services! Give us a call today to schedule your next visit!